The Owner/Builder built his large home in five days. The temporary window and door frames were made from timber cut from his own plantation. 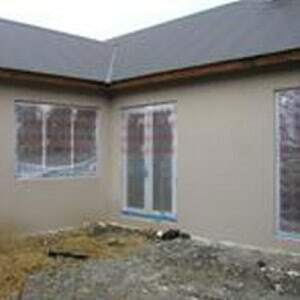 The slab was also insulated using ECO-Block panels. This photo was taken at the end of the first day.